For many cannabis businesses and business owners, just thinking about the word ‘marketing’ calls to mind visions of super expensive marketing strategies that don’t do a single bit of good for their brand. With such a huge number of dispensaries popping up throughout Washington, the digital landscape is getting crowded. Sometimes, it feels like trying to run to the top of an escalator - - especially for cannabis business owners that are just starting out. However, marketing really doesn’t have to be excessively expensive; there are tons of ways to market your cannabis business. In this post, we’ll go over 36 best ways to market your cannabis business online for free. You’re going to want some method of capturing visitor info (such as email addresses) from those who stop by your cannabis business website. Include an email sign-up option (or a few) on your website, and then start building a healthy email list and website visitor database. It’s on your own website, so it doesn’t require any extra fees. It's one of the best ways to market your cannabis business online for FREE. Use the information you collect for marketing incentives, such as email marketing and targeted advertising. Okay, so now that you’ve got some website visitor customer info, it’s time to put it to good use with email marketing. First, set up a FREE account with Mailchimp. Next, create a newsletter and start sending emails to the leads on your email marketing list. Be sure to stay away from being overly promotional and sales-y. Nobody likes that, and it gets boring very quickly. Instead, provide content that is genuinely useful, relevant, and interesting to your readers. Keep the amount of emails you send to ONLY what is the optimal frequency for your target audience. If you’ve spent any amount of time online, you’ve probably noticed the rising popularity of video content over the past decade. Leverage this popularity by engaging in video marketing as a way of marketing your cannabis business online for FREE. First, set up a YouTube channel for your cannabis business. It doesn’t have to be a beautiful masterpiece -- just a simple video channel will suffice. Create engaging video content about topics your target audience will find interesting and relevant. Not only is video interesting by nature, but it’s also a highly shareable type of content. Add the video or video link to your website, use social media amplification to promote your video, and include a link to it in your email newsletters. It goes without saying that social media is one of the most valuable marketing tools available. And, it’s FREE. Totally free. Now, you don’t want to go around signing up for every social media platform you come across, but you do want to be active on some. Go where your target audience is. If your cannabis business website visitors and customers are on Facebook, then create a successful Facebook strategy for 2018. Facebook is a great option for nearly all businesses, but the latest algorithm updates and strict policies make it more challenging than ever for cannabis businesses trying to gain traction and visibility in the news feed without paying for that visibility. That being said, using Facebook to market your cannabis business online for FREE is, by nature, a successful strategy. It’s totally free if you don’t pay to boost your posts, so you’ve really got nothing to lose. Start posting regular updates, making sure your content is interesting and relevant to your target audience. And, avoid being too promotional - - You’ll lose followers very quickly. Just focus on being a valuable resource for your followers, and post content that you know your audience will find useful in some way. Twitter isn’t for every cannabis business, but it does offer its own unique benefits. And, they’re far too good to ignore. It’s a great social media platform for engaging with cannabis industry experts, potential and current customers, and media outlets. People can talk to anyone they want. Answer customer comments, feedback, and questions. Retweet user-generated content. Share valuable content from third-party sources, in addition to your own. Don’t be overly promotional. Instead, offer genuine input on cannabis industry discussions. Pinterest isn’t the best fit for many businesses, but it can work really well for marketing your cannabis business online for FREE. Pinterest is a social media platform with one of the highest conversion rates, converting casual browsers into loyal customers. You can also generate tons of qualified website traffic for your cannabis business. It also allows you to gain more insight into what your target audience loves and is looking for in a brand. One of the most popular social media platforms, Instagram is one of the best ways to market your cannabis business online for FREE. Virtually all cannabis businesses can benefit from having a consistent, branded visual presence. Carefully curated and planned content goes a long way on Instagram. When done effectively, using Instagram to market your cannabis business will yield more website traffic, potential customers, brand awareness, and sales. User-generated content (UGC) is unpaid content that was created and published by people who like your cannabis business. Basically, they love your products so much, they decide to tell everyone about their experience, typically via social media. Which makes it a best way to market your cannabis business online for FREE. UGC generally happens naturally, but it doesn’t hurt to give your website visitors, customers, and followers a bit of encouragement. After all, they can’t create something if you don’t tell them about it! Try highlighting the best UGC each week on your social media channels, tagging the winner, and even offering prizes to those customers who created featured content. And, while we’re on the subject of prizes. . .
Hosting a social media giveaway is a guaranteed way of increasing website traffic, social media content engagement, and new followers. Not only is it a great way to give back to your customers and brand followers who support your cannabis business, but it’s also a great way of spreading brand awareness. Extending your audience reach allows your cannabis business to reach potential new customers. It’s not totally free, because you do need to give away a product. However, it’s a way to market your cannabis business online for mostly FREE. Google+ is such an underrated platform that never really got big. However, it’s still chugging along in the hopes that something will one day shoot it into social media fame and stardom. Still, Google+ is a great platform to use when distributing any new content from your cannabis business website, and makes it easier to market your cannabis business online for FREE. Google+ is also a product of, well, Google - - which means publishing content to the platform can help you climb those search engine rankings. Speaking of search engine results. . . Regularly publishing content via Google Posts is an excellent way to market your cannabis business online for FREE, while gaining more visibility in search engine results. Publishing content to Google allows your cannabis business to share content (such as blog posts) that is relevant to search queries being inputted by your target audience. If you’re looking for some extra brand exposure for your cannabis business, start using Google Posts. If you haven’t already done so, set up Google Search Console (I recommend Bing Webmaster Tools as well). With these tools, you can look up valuable information regarding the search terms website visitors are using to find their way to your cannabis business website. And, it’s a highly effective way to market your cannabis business online for FREE. You can also index new pages on your website, which means they will show up faster in search engine results. Note: Submit an XML sitemap to help the search engine “bots” crawl your site more efficiently. If you already have a current Google My Business listing for your cannabis business, make sure all of the information on there is accurate. Arrange the images in a way that will position your brand the way you want it to be seen. Do the same with the local listings for your cannabis business on Bing and Yahoo. It’s also worth building up your Google reviews, because they’re one of the best ways to boost your search engine rankings and market your cannabis business online for FREE. With 187 million active daily users, having a strong presence on Snapchat is one of the most effective ways to market your cannabis business online for FREE. Share pictures and video of daily specials, new products, Vendor Days, your budtenders, contests, and more. Influencer marketing is a hugely popular industry at the moment. Essentially, a business pays, or offers free products, to an influencer with a large following on social media. In exchange, the influencer shares your product on their social media channels. Even though a large following doesn’t always mean large engagement, influencer marketing is an extremely effective way to market your cannabis business online for (mostly) FREE. The most popular influencers tend to charge astronomical rates, but micro-influencers (smaller followings) have higher engagement rates and are usually willing to share something in exchange for a free product. Social influencers help market your cannabis online for free by getting your product in front of a new audience of potential customers. It really goes without saying that content creation should be at the heart of any digital marketing strategy for a cannabis business. If you don’t already have a blog on your cannabis business website, then it’s time to start adding one. Do it. Right away. Create content that stands out, is unique to your cannabis business, and is relevant and useful to your audience. When done correctly, content creation is an effective way to market your cannabis business online for FREE. Just remember to not follow what everyone else is doing. Use content to position your brand the way you want it to come across. Numerous studies have proven that the most effective way to market your cannabis business online for FREE is by quality blog content that adds significant value to your target audience on a regular basis. Blogging is definitely a long-term digital marketing strategy, and certainly won’t pay off overnight. However, every entrepreneur needs to understand how essential embracing blogging for business is for effective online marketing. Not only does building a quality blog help generate traffic by getting the attention of the Google bots that will crawl your website and index your pages, but it also helps create industry authority for your brand. By being seen as an industry authority, your cannabis business will gain attention from potential customers, cannabis producers / processors, the media, and other cannabis business owners. In turn, your brand will build more authority. By leveraging your industry authority to market your cannabis business online for FREE , you will be able to generate hundreds of highly qualified leads / prospective customers, expand brand reach, and drive more visibility and sales. In addition to creating content for your own cannabis business website, your content marketing strategy should include guest publishing or guest blogging. Target relevant and high-quality websites with high domain authority and low-to-nonexistent spam scores. These includes sites like HighTimes and Merry Jane. Guest blogging on high authority websites is one of the best ways to market your cannabis business online for FREE, as it ramps up your brand exposure. Plus, you’ll be securing backlinks to your website, boosting both SEO rankings and targeted website traffic. As stunning as your website may be, it could very well be stifling your content’s potential. That content you spent so long on is likely not getting the exposure it deserves. If you’re just starting with content marketing, it can be pretty discouraging to spend hours and hours creating the best content you possibly can, only to have three people view it. And two of them were you and your mother. This is where content management systems (CMS) and blogging platforms, like Medium, Quora, or Tumblr, come in handy as a way to increase exposure. To effective market your cannabis business online for FREE, stick to the best practices for republishing content on these blogging platforms, and others like them. Let’s take a closer look at a couple of these . . . If you have a fairly new domain (as in less than 2 years old, very little authority), marketing your content on blogging platforms like Medium and Quora is an effective way of generating new traffic. Create a high-quality piece of content for your cannabis business blog. Include target keywords, and make it unique with plenty of valuable information and relevant topics. Your content should help your audience in some way, even if it’s just advising them on something like the best marijuana strains for energy or the best marijuana strains for productivity. Once you’ve created a high-quality piece of content, create another value-driven article on a blogging platform like Medium or Quora. Create one link from that article back to the main article on your website, using a primary or relevant keyword. This content marketing strategy is the most powerful method for marketing your cannabis business for FREE, gaining traction on Google SERPs, and expanding your cannabis business brand’s reach. If you’re running a full-blown, in-depth SEO campaign, you’re either an SEO whiz and know what you’re doing OR you’re paying someone to do it for you. For those who are totally new to online marketing, keyword research is the very first stage of any SEO campaign a business runs. This initial phase helps you identify your user intent and determine what your target audience is looking for. Keyword research is one of the best ways to market your cannabis business for FREE. If you’re not sure where to start, Search Engine Watch has a complete guide to keyword research for SEO that will give you some direction. Every page and post you publish to your website needs to have an SEO title and meta description. This information will show up in the search engine results pages, so it should be as persuasive and relevant as possible. By optimizing these elements for your target keywords, you’ll be able to even more effectively market your cannabis business online for FREE. Sites like Leafly, Leafbuyer, and TripAdvisor offer an outlet through which to market your cannabis business online for (mostly) FREE. By being on one of these highly trafficked sites, your cannabis business will be able to expand its reach to an enormous audience of potential cannabis consumers. Directory sites like these are a great resource for any potential customer looking for information about your cannabis company. This include reviews other customers leave under your listing, based on the experiences they had with your cannabis business. If you’re in a major city, like Tacoma dispensaries, why not list your cannabis business on TripAdvisor? If you’re a dispensary, share your menu and dispensary information on sites like Leafbuyer and Leafly. Include a live menu with current deals and discounts. Not only are these backlinks great for your cannabis business SEO, but you’ll also gain access to an expanded audience of target consumers looking for cannabis products. Take the time to create an effective listing, and drive your customers there to leave authentic reviews about their experiences with you. One of the biggest gaps between cannabis business owners and their customers is trust - - or, sometimes, a lack thereof. People don’t really like to buy things from businesses they don’t have at least some knowledge of. This is especially true when it comes to cannabis businesses. Sites like Yelp were specifically created as a platform through with consumers can find the right business to give their money to. It also increases transparency between consumer and brand by providing previous customers’ experiences with the business. Yelp is one of the leading websites for business reviews, and sites like Leafly and Leafbuyer are the largest in the world for cannabis business info, menus, dispensary reviews, and marijuana reviews. All of these sites should be leveraged to build trust with potential customers. Plus, it’s one of the best ways to use social proof to market your cannabis business online for FREE. Obviously, optimizing your cannabis business website for target keywords is an essential aspect when trying to market your cannabis business online for FREE. However, there is one important thing to keep in mind: If your cannabis business is new -- as in less than two years old -- without much authority or content, then you’re going to have a difficult time reaching the top of Google’s SERPs for any target keyword that is marginally competitive. The who point is to create high-quality content, yet still optimizing your website’s SEO, both off-page and on-page. Generating website traffic through content marketing takes a good amount of time, even when your cannabis business website is search engine optimized. If you don’t see gigantic results within the next six months, don’t get discouraged. As a cannabis business owner, you’re an industry in your field. So, why not speak about cannabis at a professional conference, or maybe in a webinar? When it comes to the best ways to market your cannabis business online for FREE, webinars are one of the most powerful tools at your disposal. If you want to create a highly-engaged audience for promoting cannabis products, producer brands, and dispensaries, then webinars are the way to go. The larger audience you acquire, the more potential customers you have for those products or services. In the long run, this is an excellent way to gain exposure for your cannabis brand, as well as allow you to generate more cannabis industry authority over time. Webinars are also excellent examples of your branded collateral, which can be used for all sorts of marketing - - including professional speaking engagements. Press releases are a highly effective way to communicate company news and events, as well as market your cannabis business online for FREE. Press releases won’t get you immediate coverage, but they do help generate website traffic and brand exposure. There are plenty of free press release sites available, in addition to paid PR outlets. A high-quality press release that’s compelling and informative, with a link to your website or profile, can help improve your SEO. One of the easiest ways (seriously, it’s ridiculous) you can market your cannabis business online for FREE is by using a branded signature in all of your emails. Place important links and any certification/awards/accolades your cannabis business may have received directly into the signature of your email. I also recommend including social media links in your email signature as well, along with any relevant links to important company marketing collateral. This also includes digital brochures or media pieces that feature your cannabis business. Add a one-sentence tagline or catchphrase about your cannabis business and its mission as well - - something that will stick out in your readers’ minds. Which means your brand sticks out, and will likely remain at the forefront of their minds longer than other cannabis brands. There are tons of options available, but this post by mailbird shows some of the best email signature examples. The Pareto Principle, typically referred to as “the 80-20 rule”, states 80% of the results comes from 20% of the efforts required to get those results. So, basically, a small amount of what marketing actually does produces results. However, this is also true with sales, wherein 80% of your revenue comes from 20 percent of your customers. If you can determine which of your customers generate the most income (or conversions, site traffic, etc.) for your cannabis business, you can expand on those sales by sending out additional offers and discounts for other products they may like. You can market your cannabis business online for FREE, directly to your customers, by using a customer portal system they can login or if you track them by cookies. Basically, schema markup allows users to label the content on their website for search engine optimization purposes and benefits. This helps you market your cannabis business online for FREE by allowing search engines to provide more accurate and detailed search engine results pages. And, speaking of search engines . . .
Link Google Analytics to your website to create an archive of important data that will help you improve your content marketing strategy. Best of all Google Analytics helps you market your cannabis business for FREE. With Google Analytics, you’ll be able to see how many people visit your site, how many interact with your content, identify pain points, discover the most popular pages and content, and more. All of this information can be used to make informed changes and improvements to your cannabis business website. One of the most effective ways to market your cannabis business online for FREE is to ask your customers for as many testimonials and positive reviews as possible. Ask your customers for testimonials to include on your website and in your blog content (such as product posts). Customers purchase from brands they know and trust. If you have a lot of social proof on your website, more website visitors will be inclined to convert to paying customers. Part of using content to market your cannabis business online for FREE is to position your brand as a reliable cannabis industry authority and / or cannabis retail expert. Build this authority by contributing to relevant social media discussions, blog posts, or forum threads. By offering genuinely helpful information when answering questions other users are asking, your brand will stand out as a valuable resource. As long as you are not being overly promotional, people will appreciate your valuable input. If you’re lucky, this help convert that online user into a customer who buys from your marijuana dispensary. Another excellent way to market your cannabis business online for FREE is to sign up to speak at cannabis industry conferences. This gets your cannabis business and your personal names out there. If your audience listens to you speak at conferences, your audience will likely to purchase products you talk about. A powerful way to market your cannabis business for FREE, and one that helps your website rank well and provide excellent user experience, is to test your cannabis business website for speed and mobile-friendly interactions. Use Google’s free tools to measure the speed of your website and determine how mobile-friendly it is. If you spot any red flags, be sure to resolve them as quickly as you possible can. It may sound complicated, but it’s really the easiest way (by far) to market your cannabis business online for FREE. NAP isn’t about sleeping (sorry to disappoint you), but stands for Name, Address, and Phone number. Having this information consistent means ensuring all mentions of your cannabis business include correct contact information. You can check this by doing a quick search for your cannabis business. Double-check that the name, address, phone number, hours, and any other relevant business information are completely correct and consistently formatted across all marketing collateral. Making it easier for prospective customers to find you will help drive traffic to both your website and your physical store or other location. That’s definitely enough information to help you improve your online marketing strategy. 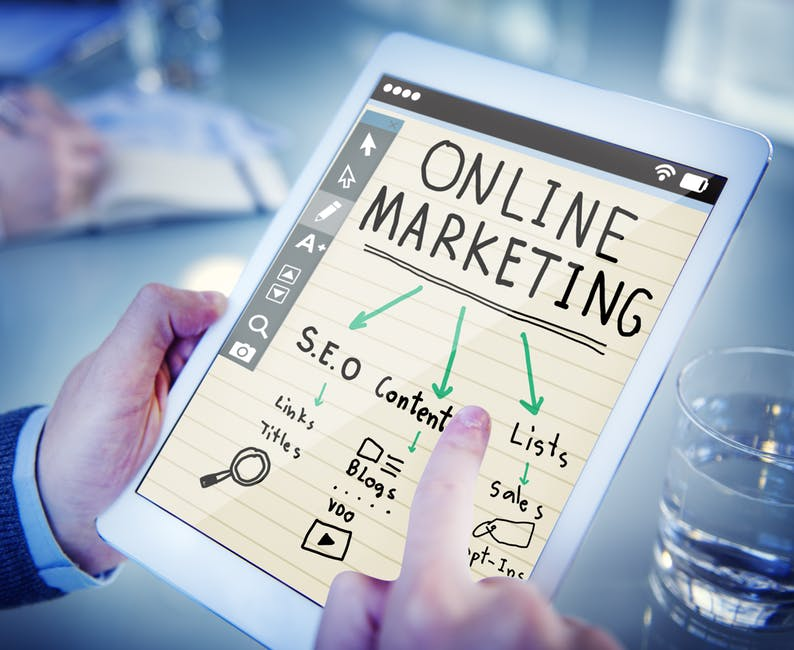 While it does always help to have a marketing budget, these 36 ways to effectively market your cannabis business online for FREE. 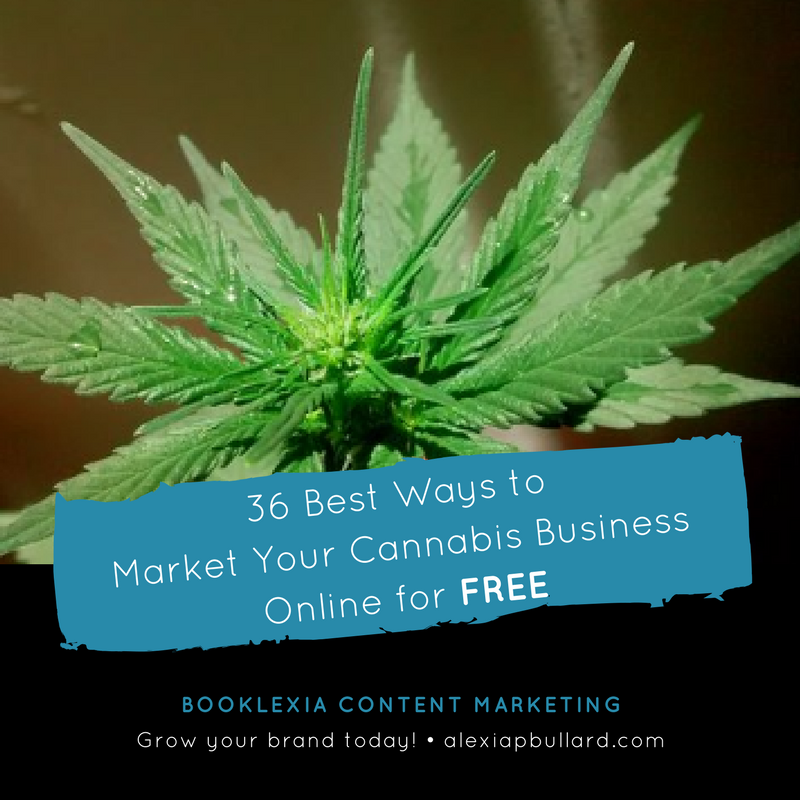 These 36 best ways to market your cannabis business online for free will have you growing your brand and its connections in no time. Newer Post26 Blog Post Ideas for Dispensaries. The Last One Blew Me Away.